Hundreds of Jeep Renegades are parked on a test track in Michigan after they were withheld from dealers over software issues. FCA CEO Sergio Marchionne wouldn't identify the problem. OTTAWA LAKE, Mich. — The 2016 Jeep Renegade is no track car. So why are hundreds and hundreds of Renegades lining a 2-mile-long oval test track here? They are being withheld from dealers because of nagging software issues, Fiat Chrysler Automobiles CEO Sergio Marchionne revealed last week. Dealers report, though, that the sales launch of the subcompact SUV is going smoothly. The first Jeeps to be imported into the United States are suffering software issues similar to those that plagued the 2013 launch of the Jeep Cherokee, Marchionne said. A source at FCA later clarified, however, that unlike with the Cherokee, the Renegade’s issues do not involve its nine-speed automatic transmission. “Welcome to software,” Marchionne told reporters last week, calling the Renegade issues “very similar to what happened” with the Cherokee. He declined to identify the Renegade’s problem. “It’s a combination of attributes of that vehicle that is making my life horrible,” Marchionne said. The exact number of Renegades being withheld nationwide is unknown. The FCA source said that most of the affected vehicles are being held at the track of the former Dana Technical Resource Park outside Toledo in Michigan. 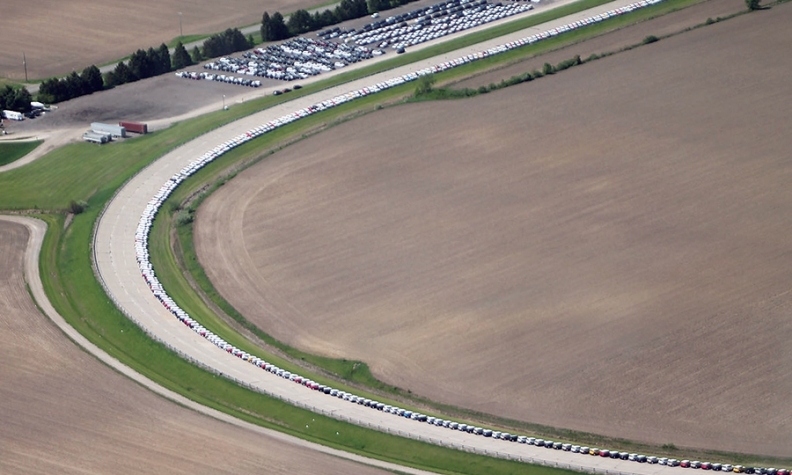 Viewed from the air, the parked Renegades line more than half of the track, with many more parked elsewhere on the grounds. The source said the company believes it is in possession of all the impacted vehicles. Renegades are parked on a test track in Michigan. Despite the quality hold, Jeep dealers seem unaffected. They say the Renegade launch has come off remarkably well and that most consumers have been able to get the Renegade they wanted. In its first full month on the U.S. market in April, the Jeep Renegade outsold the far more established Jeep Compass, 4,214 to 4,124. 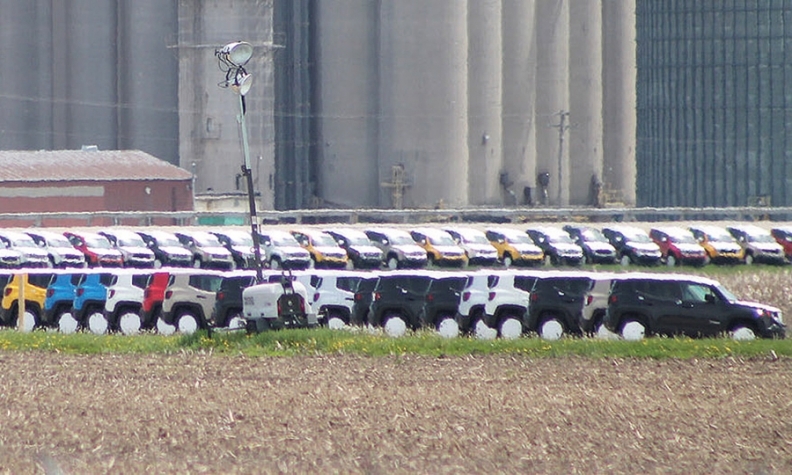 Jeep had plenty in inventory, either on dealer lots or awaiting delivery. “I’ve been doing this for 30 years, and this is the best launch we’ve ever had,” said Bob Shuman, owner of Shuman Chrysler-Dodge-Jeep-Ram in Walled Lake, Mich.
Oceangoing car haulers carrying hundreds of subcompact Renegades began arriving in Baltimore from Italy in mid-January. The numbers in stock at regional storage yards climbed past 10,000 vehicles before the first Renegades were delivered to dealers in mid-March. When they were delivered, they came by the truckload in sufficient color and style variations to meet consumer demand, the company said. Despite the ample inventory, there is room for improvement in the Renegade launch, some dealers said. Doug Moreland, a Denver area dealer whose ninth FCA dealership is under construction in Las Vegas, said customer response to the new subcompact Jeep “has been very good, but we are experiencing shortages of some models that a lot of our customers want, like the Limited” trim level. Some options, such as sunroofs, are also in limited supply early on, Moreland said. 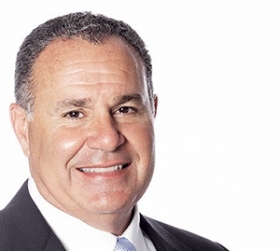 Jim Arrigo, chairman of the National FCA Dealer Council, said that with the Renegade, dealers are ordering in a slightly different manner than they have been accustomed to with North American manufacturing plants. “The way the system works is that the dealers send Jeep a list of what they would like to have built. “Jeep then matches the vehicles up as close to what the dealers want that are already on the shipment,” to North America, Arrigo said.